There were around 50,100 excess winter deaths in England and Wales in 2017-18 – the highest since the winter of 1975-76, figures from the Office for National Statistics show. The increase is thought to be down to the flu, the ineffectiveness of the flu vaccine in older people and spells of very cold weather last winter. Most excess deaths occurred in women and the over-85s. Similar peaks in excess deaths have been seen in previous years. Before the 2017-18 peak in excess winter deaths, there were peaks in 2014-15 and 1999-2000. An extra 6,000 deaths are estimated to have occurred during last winter compared with three years ago. The figures for last winter, counted as December to March, are still provisional while figures for all other previous winters have been confirmed. Nick Stripe, head of health analysis and life events at the Office for National Statistics said: “Peaks like these are not unusual – we have seen more than eight peaks during the last 40 years. “It is likely that last winter’s increase was due to the predominant strain of flu, the effectiveness of the influenza vaccine and below average winter temperatures”. Last winter, two strains of flu – influenza A and B – were circulating. Despite more people over 65 getting a flu jab, the vaccine was more effective in younger people and could explain why flu had a greater impact on elderly people, the ONS said. This year, it is hoped that an enhanced flu vaccine for elderly people should perform better. The ONS said the increases could also be explained partly by colder weather and lower temperatures, compared with the five-year average, in December, February and March. GP surgeries and pharmacies should have all their stocks of the flu vaccine by now. 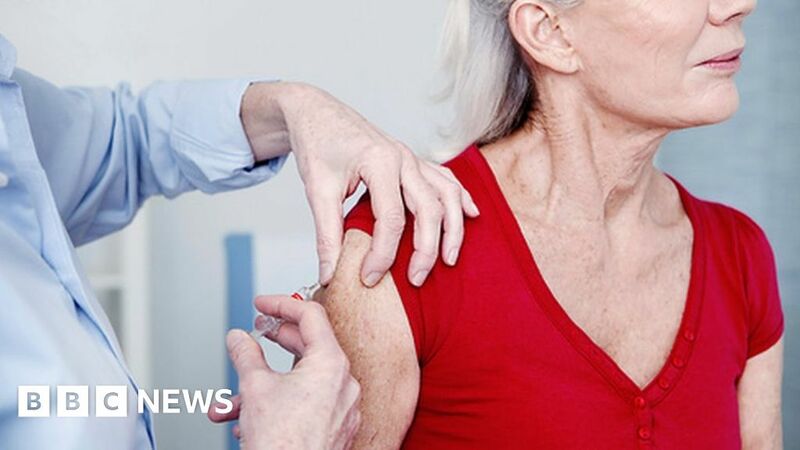 Public Health England has advised all adults over 65 to have the vaccine as soon as possible.